Today's educators are under immense pressure, and little in the near future offers any hope for the demands to diminish. We increasingly face public accountability, universal scrutiny, and heightened expectations—not to mention new evaluation systems, moving targets, and the climate of underwhelming respect we teach in. To top it off, our students are arriving at school every day toting a collection of personal experiences that offer incredible challenges to their well-being and our ability to teach them. 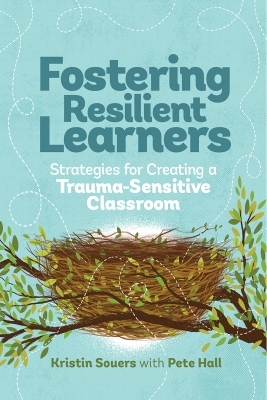 For students who have experienced (or are currently experiencing) trauma outside of school, it's essential to have professional educators who are well-versed in the strategies of trauma-sensitive practice and can create a safe "nest" within their learning environments, implement healthy personal habits, and employ self-care approaches. The flight attendants' saying is true: we must put on our own oxygen masks before helping others. In this engaging webinar, you'll learn from licensed mental health therapist Kristin Souers and veteran school principal Pete Hall, coauthors of Fostering Resilient Learners: Strategies for Creating a Trauma-Sensitive Classroom, about how to care for yourself, recharge when you need it most, and be on your A-game for your valuable and vulnerable students. Strategies such as "Stay out of Oz" and "Doors and Windows" will prep you to tackle a 28-day self-care challenge, allowing you to refresh your mental energy and be at your best, every moment of every day. Kristin Souers is a licensed mental health counselor in the State of Washington. She is an expert in understanding the impact of trauma on individuals and families and has provided consultation and training on this topic to education and human services systems for more than 20 years. Pete Hall currently serves as a speaker, an author, and a professional development agent for schools and districts across the globe. A former teacher and veteran school principal, Pete is the author of more than a dozen articles on school leadership and several books.